Our registration forms, donation forms and surveys require users to give us contact information that may include name, email address, format preference (HTML vs. Text), address, interests, and similar information. We do not request or store sensitive information from our visitors, such as credit card or social security numbers. Requested contact information is used for purposes described in individual registration forms, donation forms or surveys. All electronic communications from diversityrichmond.org is on an ‘opt-in’ basis and every electronic communication includes a link to ‘opt-out’ of electronic communications from Diversity Richmond. 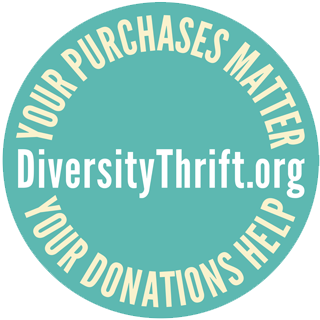 Diversity Richmond subscribes to services that assist us in collecting the information necessary to send our e-mail newsletter and to process online donations. These services have their own privacy policies. Please visit these services in order to become familiar with these policies. Information provided to Diversity Richmond for the purposes of subscription to our e-mail newsletter and for online donations is transmitted using SSL (Secure Socket Layer) encryption. SSL is a proven coding system that lets your browser automatically encrypt, or scramble, data before you send it to us. We also protect account information by placing it on a secure portion of our Site that is only accessible by certain qualified employees of Diversity Richmond. Our third-party service providers also protect the security of this data, under the terms of their privacy policies linked above. Unfortunately, however, no data transmission over the Internet is 100% secure. While we strive to protect your information, we cannot ensure or warrant the security of such information. Information provided to Diversity Richmond through our general contact forms at diversityrichmond.org and information contained in e-mail messages to is not transmitted using SSL. Visitors should not use these methods to transmit sensitive information. Our Site contains links to other websites. Please note that when you click on one of these links, you are entering another website for which Diversity Richmond has no responsibility. We encourage you to read the privacy statements on all such sites as their policies may be different than ours.